I remember watching the movie, “It’s the Great Pumpkin, Charlie Brown” every year around Halloween as a kid. 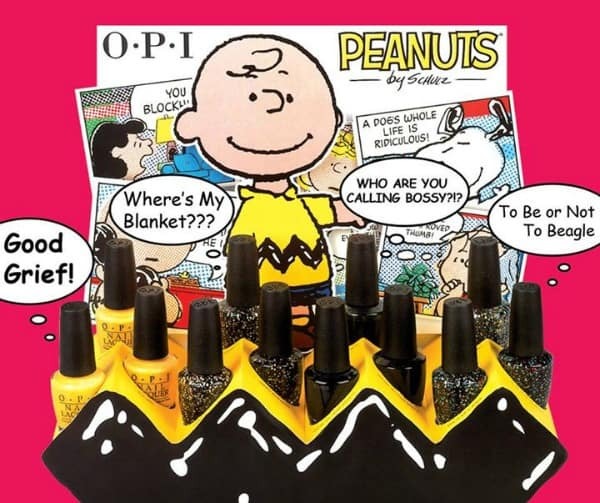 This year, OPI has launched a Peanuts Limited Edition set of nail lacquers for Halloween 2014! The collection is based on Charles M. Schulz’s comic strip characters and was inspired by the film, “It’s the Great Pumpkin, Charlie Brown”. It features four new shades that capture the essence of the classic film including a vivid yellow, black crème and black based glitters. OPI wanted to celebrate the fun, youthful nature of Charlie Brown, Lucy, Linus and Snoopy as well as capture the spirit of Halloween. Good Grief! : The sunny yellow of Charlie Brown’s favourite t-shirt. To Be or Not to Beagle: Snoopy’s happy-dance of colours in a joyful glitter. You can also find these four shades in the Little Peanuts mini pack . This set features ten nail decals with popular Peanuts phrases like “Good Grief!” and “Pow!” as well as sketches of Snoopy and the signature squiggle of Charlie Brown’s shirt. So fun! 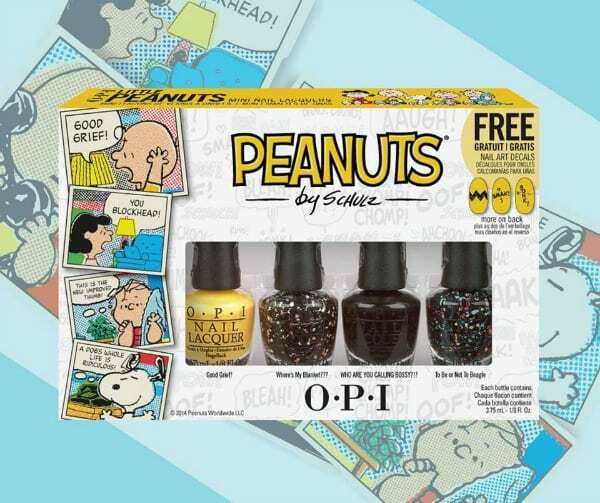 Peanuts by OPI and Little Peanuts mini pack is now available for purchase (as of September 2014) in professional spas and salons across the country. Peanuts nail lacquers have an SRP of $11.50/each while the Little Peanuts mini pack has an SRP of $17.50. Watch for my upcoming review to find out which one I liked best! 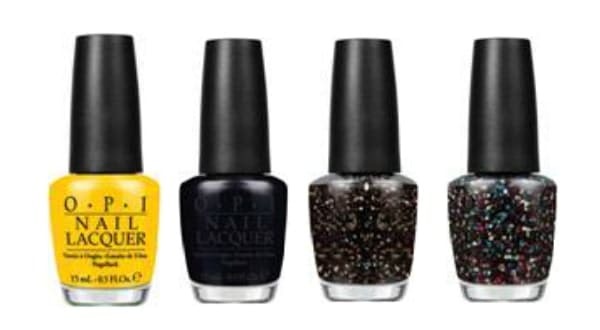 Connect with OPI on Facebook, Twitter, YouTube and Pinterest. You can also check out @snoopy on Twitter, @snoopygrams on Instagram or follow the characters on Facebook. Where’s My Blanket??? for sure! My favorite is definitely Good Grief!, I love yellows! This brings back fond childhood memories.